When your children are small, it is tempting to think that you still have all the time in the world to help them develop the life skills they need to become successful members of society. Once your child becomes a teenager however, it is time to make sure they are really learning what they need to know because independence and adulthood are just around the corner. 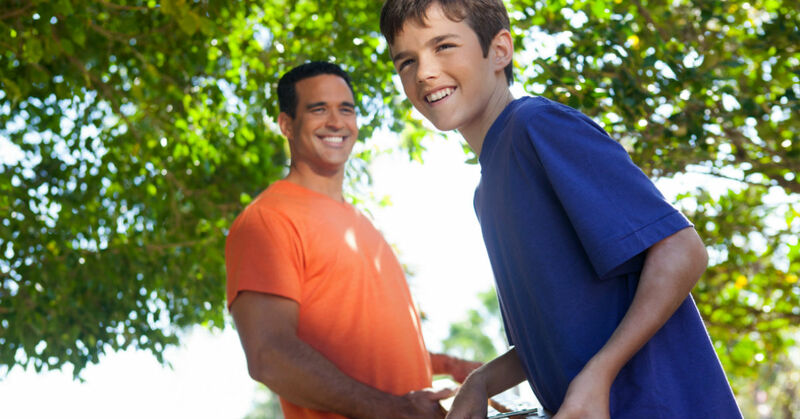 Helping your teen develop great life skills is one of the greatest things you can do for him. Preparing him to handle the challenges he may face and ensuring that he can function every day in a healthy way are skills that will serve him long after he leaves home. Work Ethic – Work ethic is one of the most important aspects of being an adult. Because working is essential for everyone’s lifestyle, the earlier your son develops the skill, the better off he is. Help him learn how to work efficiently by encouraging him to show up on time, be organized and follow through on what he starts. Communication – Communication is a tool that can potentially help or harm your son, depending on how skillful he is at it. Between managing personal and professional relationships, knowing how to communicate effectively can take a person a long way. Help your son practice speaking and behaving respectfully, while coaching him toward the most helpful ways to stand up for himself when necessary. Problem Solving Skills – The adolescent years are an ideal time for your son to practice problem solving skills, while you are still there to guide and catch him when he needs it. You can most effectively help your teen by teaching him to properly identify an issue, generate alternative solutions, make an informed decision and then implement it. While it can be difficult to stand back and let your child potentially fail, it is more important to help him learn the problem solving process by trial and error before you set him loose in the world. The failures he is likely to experience as a teen are generally far less damaging than those may come across as an adult. Money Management – Everyone has to learn money management skills at some point in order to become fiscally comfortable. The problem is that some individuals go through years of financial stress before they develop the skills to be responsible with their money. Teach your teen how to balance a checkbook, set monetary goals and understand the impact of credit cards and debt. Teaching him how to properly manage his money can ultimately be more valuable than handing him an actual check. Health – Good hygiene is important to start young, so they develop good habits and understand the value of remaining healthy when they are older. As your teen grows, allow him to participate in basic activities like scheduling haircuts and dentist appointments in order to give him hands on experience for when those need to occur. When he is sick, explain to him what kinds of medicine you are offering him, so he knows what to reach for when he is on his own. It is also important to make sure he knows how to react in an emergency. Stress Management – Stress is inevitable and knowing how to cope with it in a healthy way is valuable for maintaining health and future relationships. Talk with your teen about ways that he can cope with daily stress and help him identify what works best for him. Sundance Canyon Academy is a residential treatment center located in Utah. Contact us today for questions or a consultation 1-866-678-2425.